Learning, being comfortable and cooperating in nature. Beaver Brook Association is a private nonprofit environmental center in southern New Hampshire founded in 1964. Beaver Brook trails and grounds are open free to the public dawn to dusk 365 days a year. The office is open M-F 9 am -3 pm. 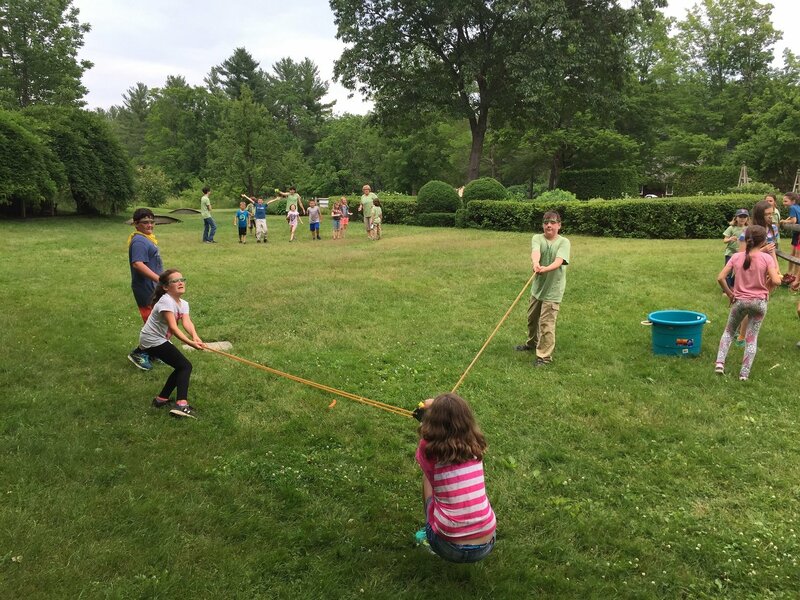 Beaver Brook provides year-round environmental education opportunities for all ages. Beaver Brook trails, gardens, and outdoor classrooms are supported by generous donors like you. Connecting people to nature is what we do. School programs, preschool, adult and family events occur during all seasons. Over 6,000 school students attended programs here this year. Beaver Brook offers 35 miles of well maintained trails. Be sure to take a map! Well behaved dogs are allowed on a leash. Multi-purpose trails permit horseback riding, and mountain biking . The Maple Hill gardens include 13 impressive theme gardens, a Victorian gazebo, a wisteria arbor, 350 species of flowers and shrubs and a demonstration compost court. The Beaver Brook office at Maple Hill Farm is located 1 mile off of Rt. 122 in Hollis NH. Beaver Brook trails may be accessed from several different public roads. Trails: Our trails are open to the public, 365 days a year, from dawn until dusk. When planning your hike, consult the map first. Beaver Brook relies on contributions from our visitors and the community to maintain our lands, trails and the many historic buildings used for environmental education programs. Use the DONATE button to create or renew your membership. Our trails are open 365 days a year, dawn to dusk. Bring your group to Beaver Brook Association and experience nature firsthand. We have meeting rooms and classroom space to accommodate groups from small to large. We can provide customized environmental programs to enhance your day’s event. Come out and discover nature! Beaver Brook is a regional nature center where tens of thousands of people a year come to learn about and enjoy spending time in nature. The organization began in 1964 and has grown to encompass 2187 acres of conserved land with 35 miles of trails for the public to use year round.